This course teaches you how to lose weight without the customary calorie counting that is often the basis of most weight loss diets. To be sure, low-calorie diets are too fast but it is a well known fact that they pose special hardships and gains are hard to sustain. Composed of 10 chapters, this course provides you with greater understanding of the needs of your body and how this knowledge help you follow a diet that induces weight loss and sustains your gains without effort. Weight loss should result in a healthier you, not just a slimmer you. 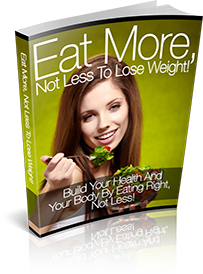 There are a variety of methods that try to make you believe you can solve your weight issues easily and fast. There are miracle diet pills and diets that drastically reduce your calorie and your general food consumption levels promising rapid weight reduction, which in the end leave you grappling with tremendous hunger pangs and dangerous side effects.